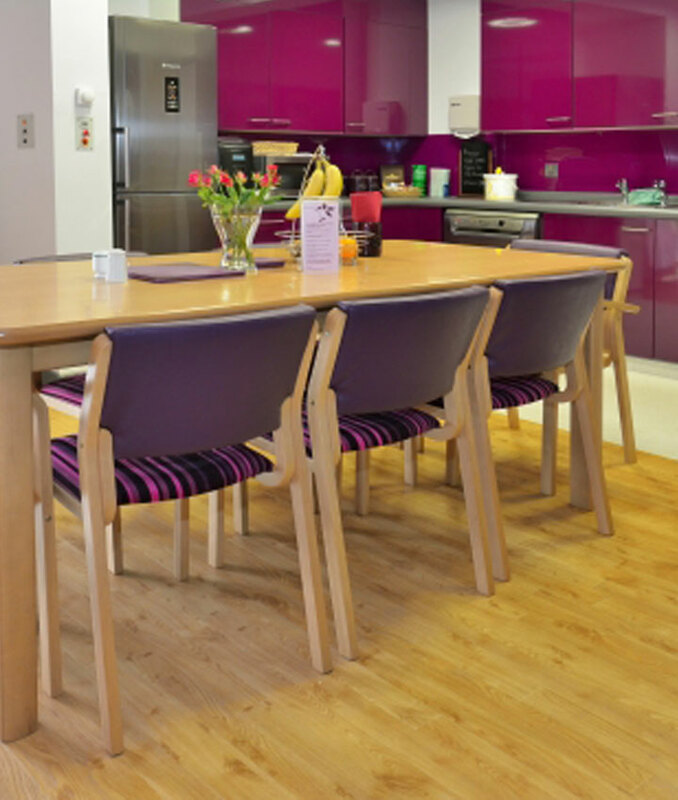 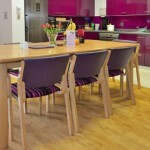 The redeveloped 16 bed in-patient unit has been carefully designed to meet the complex needs of patients and their families and includes nine single en-suite rooms and two multi-bed bays in addition to a lounge/diner for use by patients and their visitors, a beverage bay, patients’ lounges and activity areas. 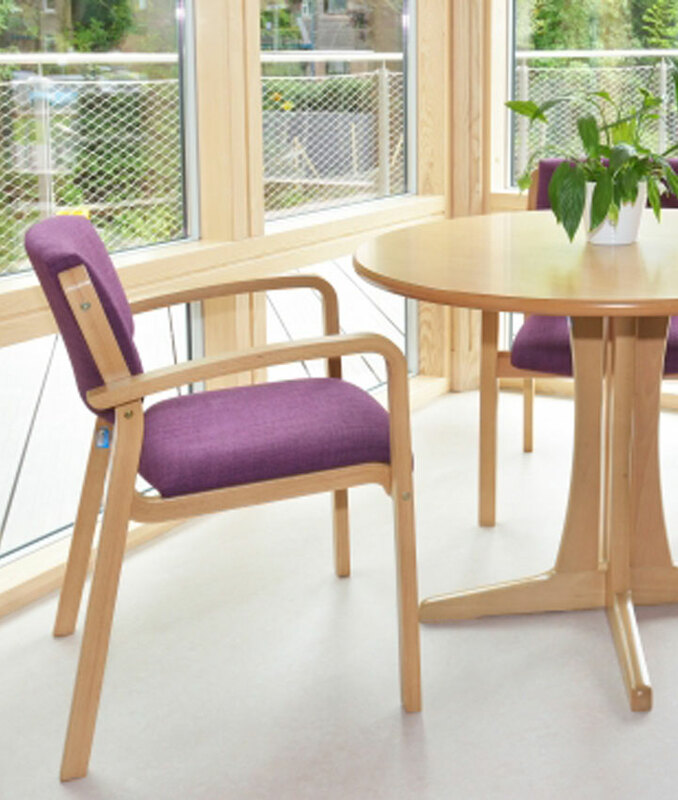 The comfort factor is high and colour palettes are warm and welcoming throughout, with upholstered furniture in rich berry shades and exposed woodwork in a natural oak finish. 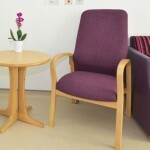 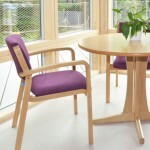 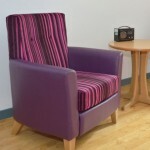 Smart upholstered seating welcomes Kirkwood patients and visitors alike, with mid-back and high-back chairs and three-seat settees from Knightsbridge Furniture’s traditionally-styled Jasmine range nestling alongside the more contemporary profiles of Maddie club chairs and supportive high-back armchairs from the company’s Arran range. 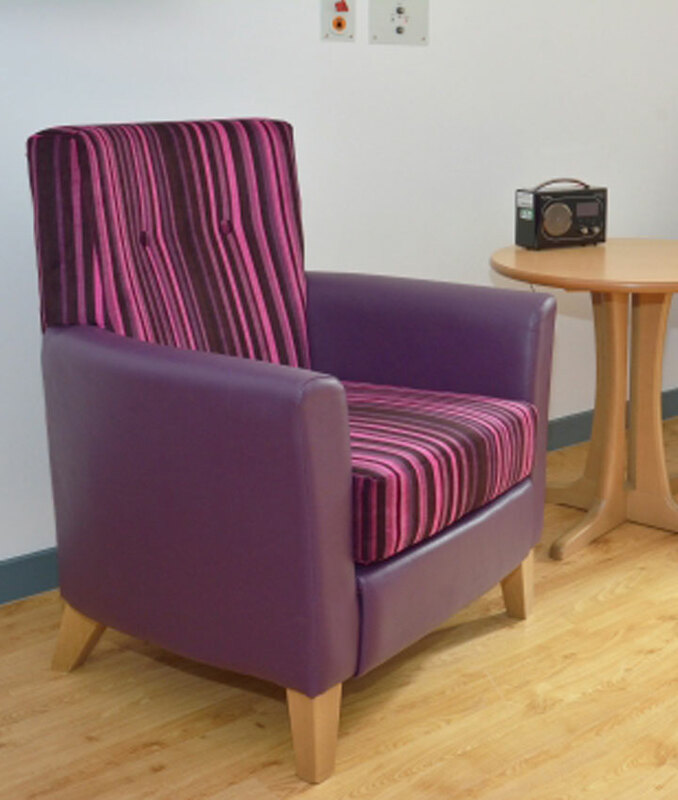 Seating is on hand throughout the unit thanks to the provision of 50+ versatile Zeta stacking chairs, which are the perfect complement to the Harvey timber-topped tables in the dining area, Palma tables in the patients’ lounge and multi-bed bays, rectangular Polo and Ascot tables in the activity rooms and the neat Ventura lamp table in the beverage bay. 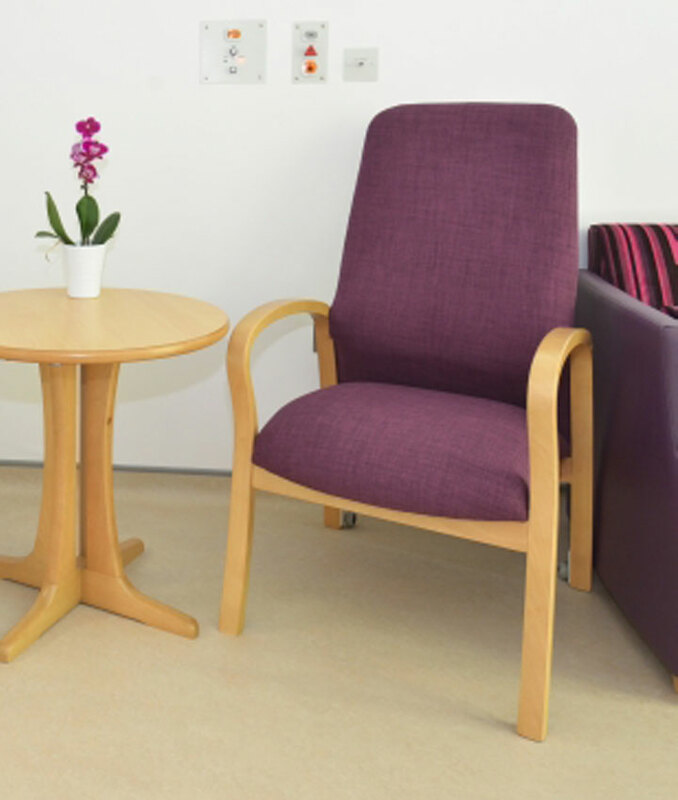 The order has been completed by a Knightsbridge Dalton armchair modelled specifically for bariatric users, together with a pair of Optimum book-cases in the lounges and two Panama double sofa-beds to accommodate overnight visitors.